If you want to make it big online, you’d have to create content that sells. Content marketing is a big market and it’s no more limited to using keywords and working on internal links. You have to take care of other factors well – most importantly influencer marketing. 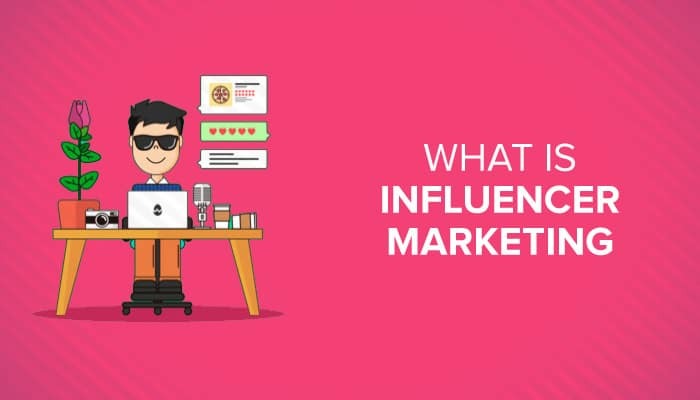 It’s a growing marketing technique where you find an influencer, i.e: someone with a clout in your niche to publish your content or talk about your company in a positive manner. In simple words, an influencer is someone who people listen to and who has the power to influence your sales. They typically have a lot of experience in your field, in addition to thousands of followers who believe them and take their decisions seriously. Think of Kim Kardashian. For some she’s a reality star, for others she’s a starlet, but for an online marketer, she’s an influencer with 116 million followers who keep an eye on all her moves. In fact, she got about 9 million likes and comments on sponsored posts in the first quarter of 2018. She’s, in fact, one of the highest paid influencers out there and has promoted everything from whitening kits to inner garments. But, how do you get Kim to talk about your business or product? It’s a long journey. Since Kim is a celebrity, you cannot directly reach her. You’ll have to go through agents and negotiations to reach a deal. Plus, she’s very expensive as well. However, she’s not the only influencer out there. You have the option to reach other influencers as well – most do not even cost as much as Kim. In fact, Google shows that 70% of teenager YouTube subscribers connect to YouTube creators more than traditional celebs. This is a good news for online marketers since original content creators are easily accessible and hence easier to pitch to. Yes, they do charge money but some may be willing to include pitches without a cost – all that you need is content that sells. The most important thing is to stick to your niche. Find influencers who have a lot of followers who may be interested in buying what you have to offer. For example, if you sell HDMI cables, you should look for technology bloggers. They can write about the uses of HDMI cables or review your product and you know the readers would be interested in buying it. If you’re pitching an article, make sure to write it keeping the blogger’s requirements in mind. If they have guidelines, follow them to the T.
Find relevant and latest stats to add. They can make your content appear more informative. However, always add the source. Content with visual elements gets more likes and shares to try to include videos and images with your article. It can increase the chances of getting your content approved. It should be original and not appear very promotional. Do Not Spam: Do not send a lot of emails. Wait for a reply. It can take weeks before you hear back from the blogger so hold your horses. Be Nice: Start with a nice salutation and use real names, where possible. Personalize It: Do not write a generic pitch. Personalize it and introduce yourself to the blogger. Follow Up: Send a nice follow-up email if it has been two weeks or more. However, stick to emails and do not call. Follow these simple tips and you will find success. The key lies in writing good content and pitching it in a professional manner so that it can get noticed.